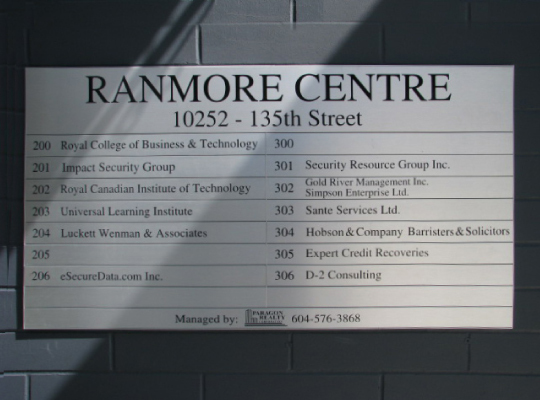 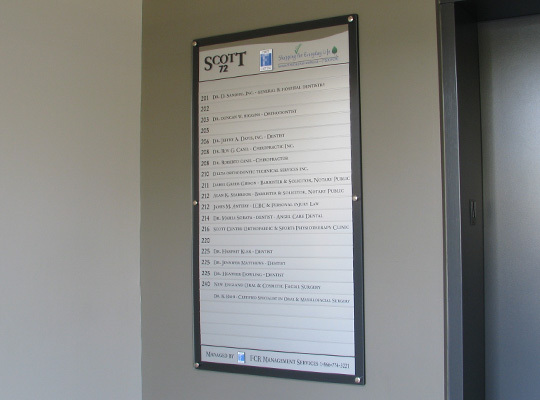 Directories, also known as a wayfinding or architectural signs, are designed to help people find what they are looking for. 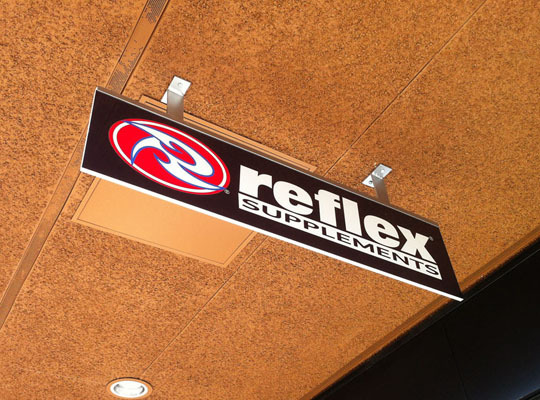 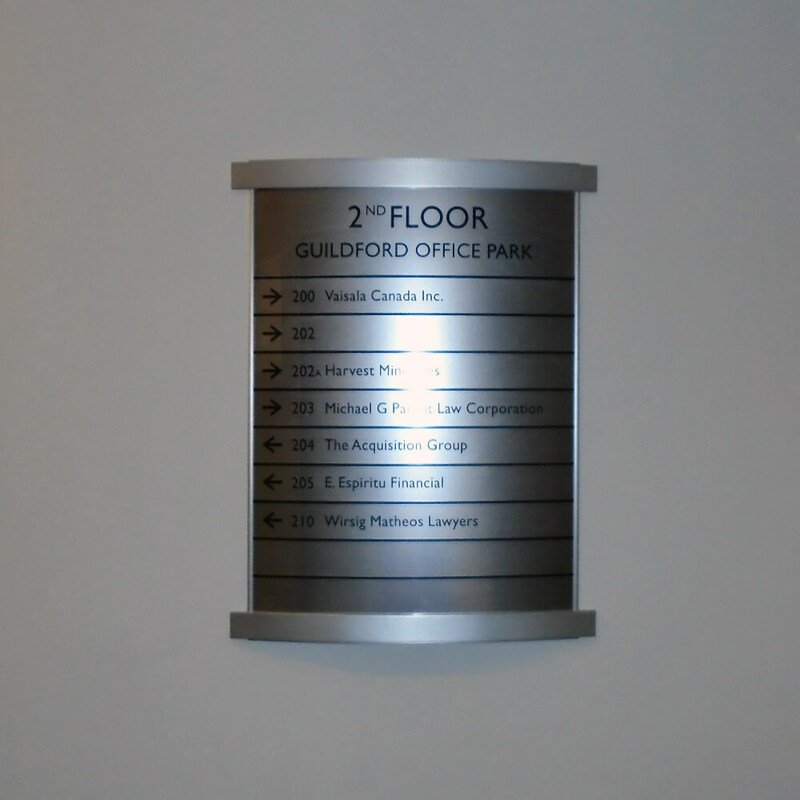 Your goal is signage that fits your building, both functionally and aesthetically. 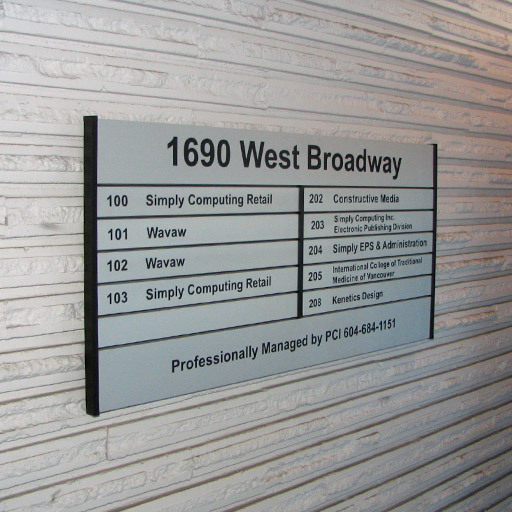 We will help you with innovative designs and a large variety of materials. 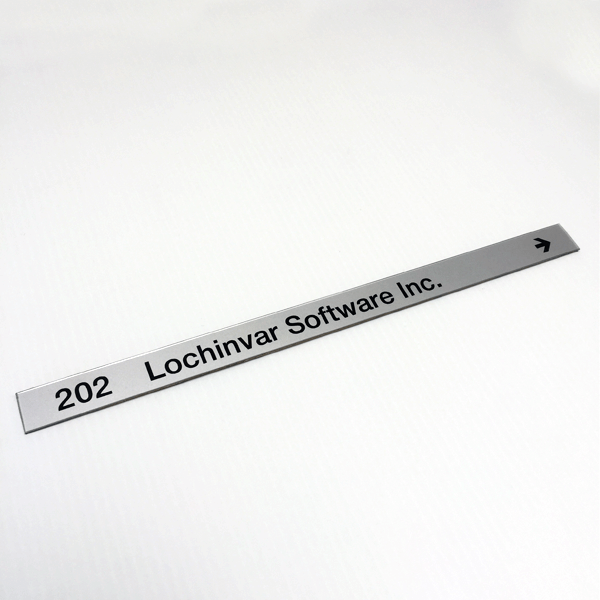 The design options are endless and we also value your input. 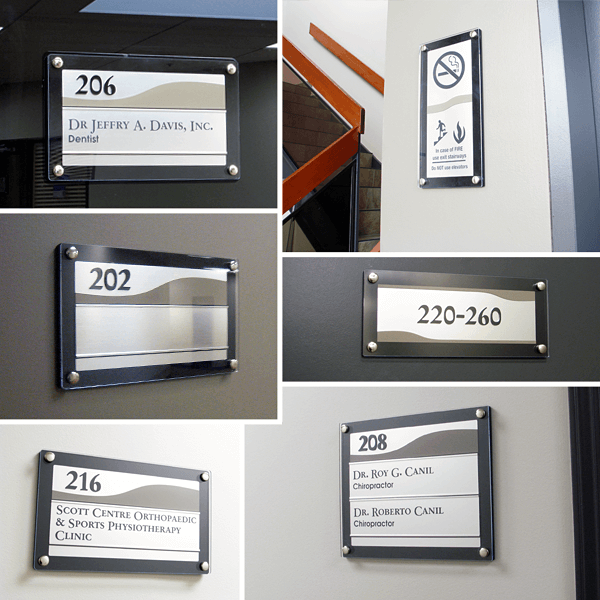 Custom designs available featuring accent colours and that fit your corporate colours or decor, and your logo. 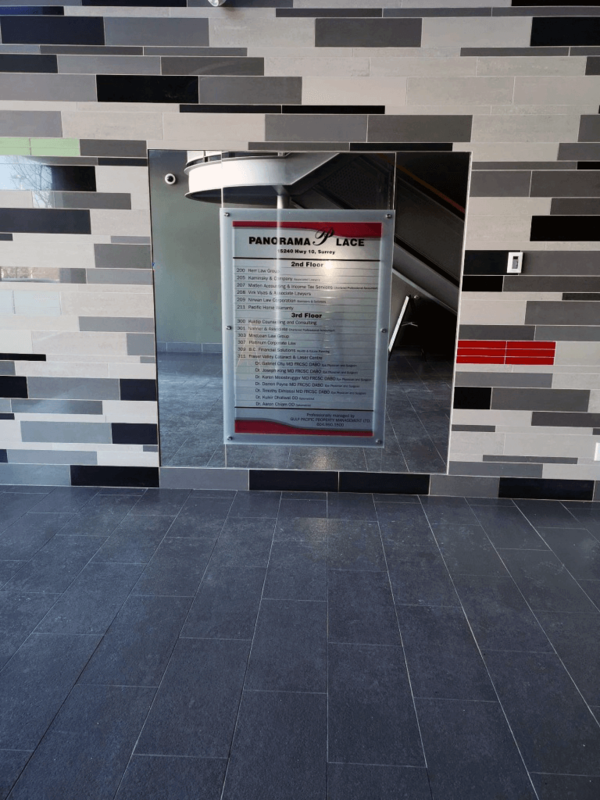 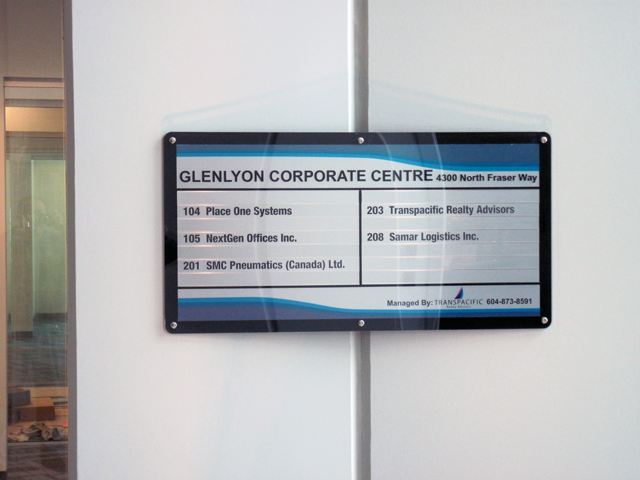 You have a wide range of options including 3D lettering, tinted glass, sandblasted (frosted) borders, and bevelled edges. 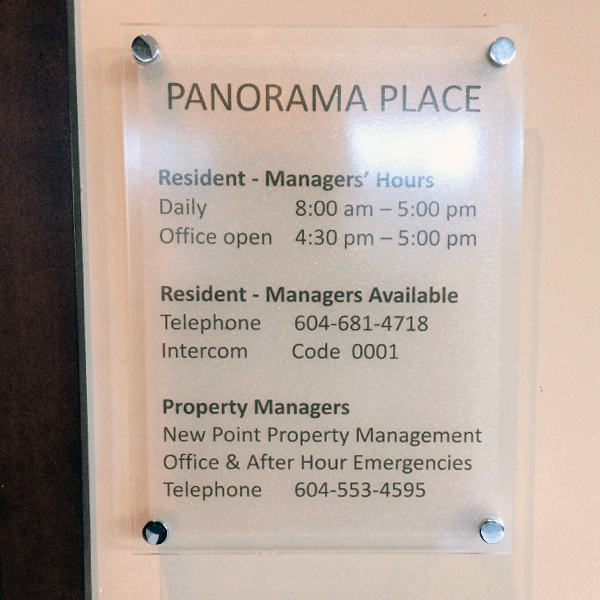 And changing tenant plates is simple and easy. 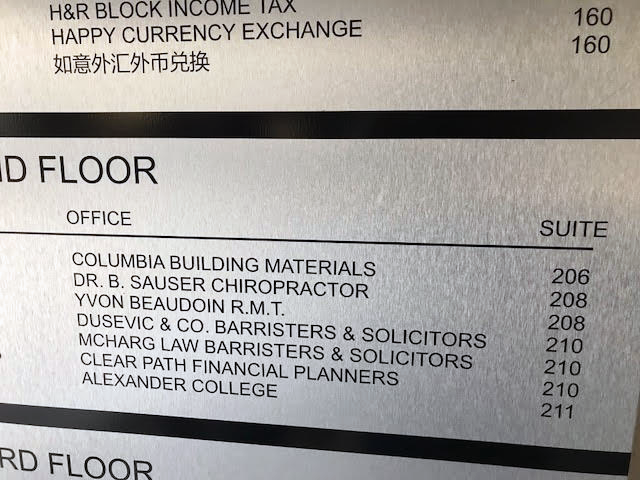 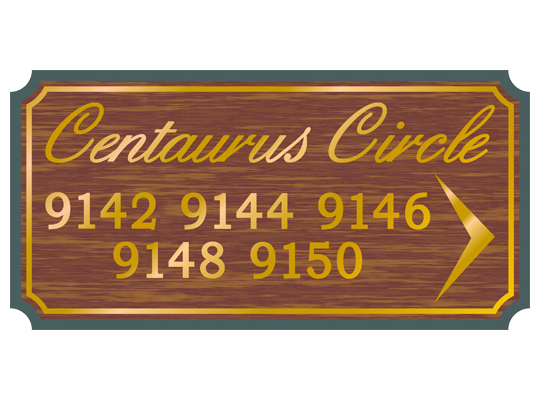 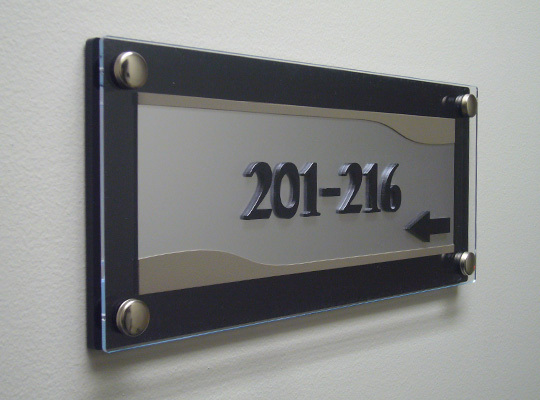 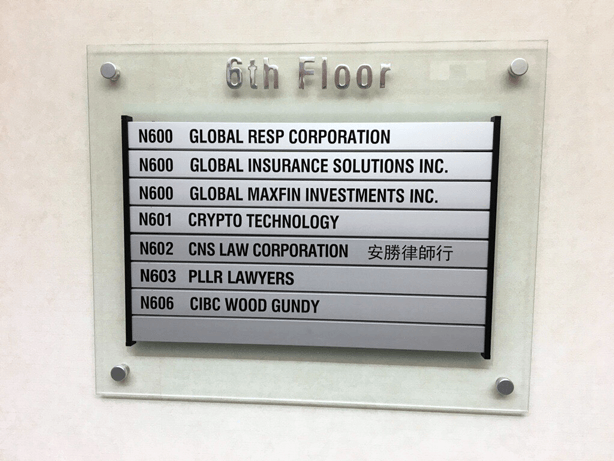 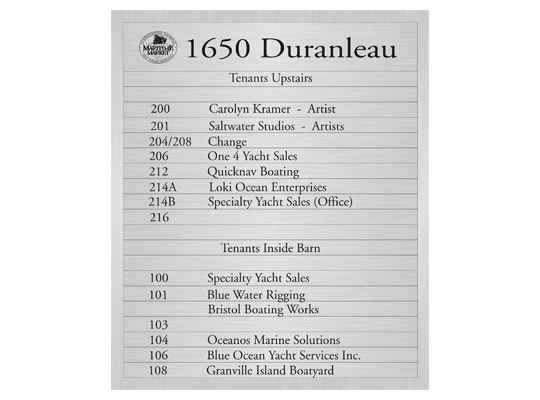 Just send us the information for your new tenant and we can mail you a new laser engraved plate that slides right into place, or we can install it for you. 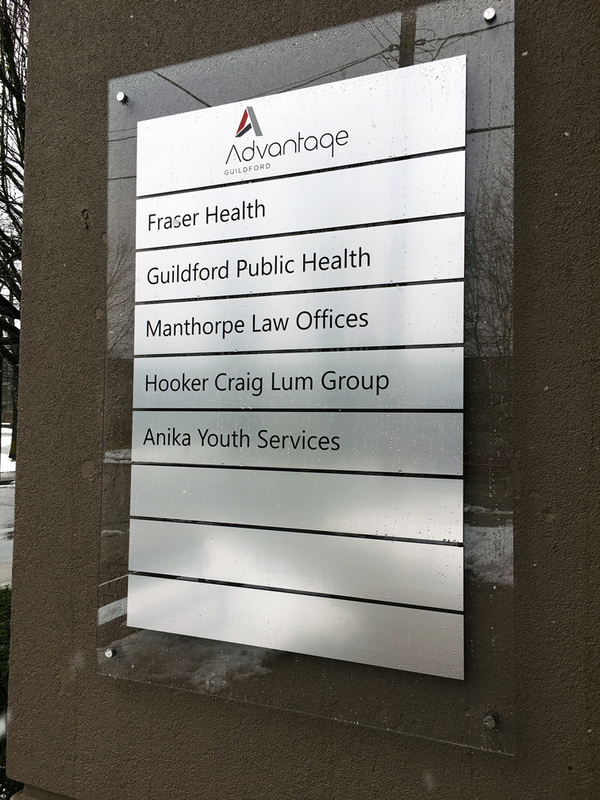 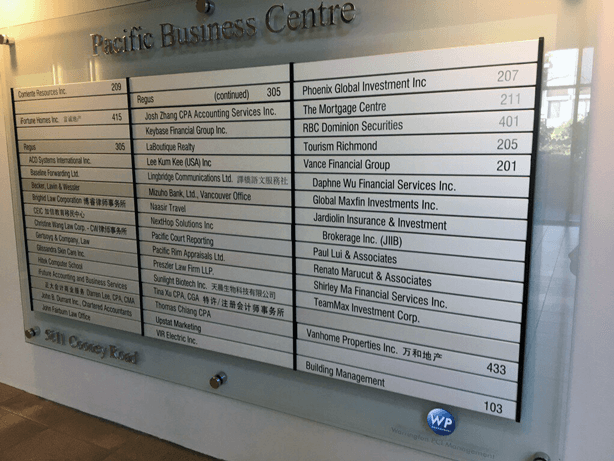 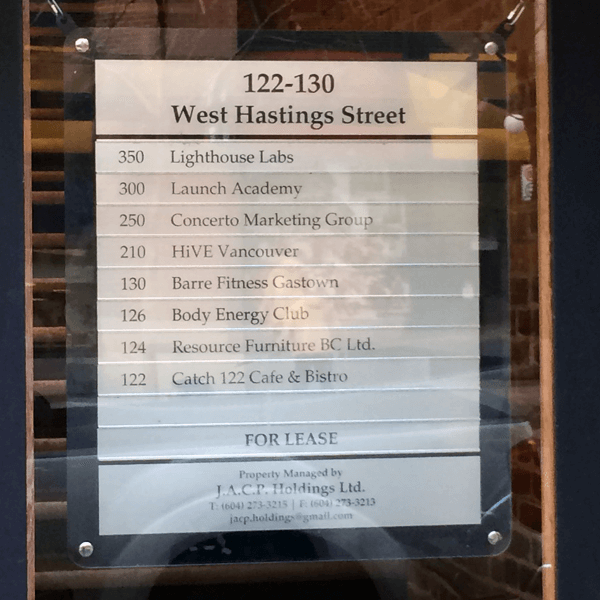 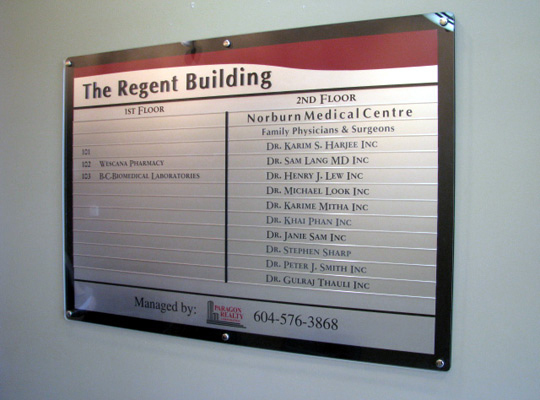 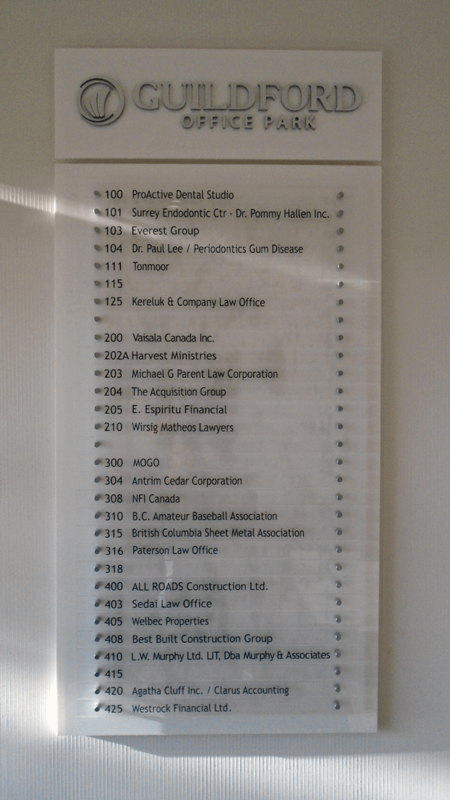 Our custom directory signs can also be made with two or more columns to fit your display space or to accommodate your tenant listing needs. 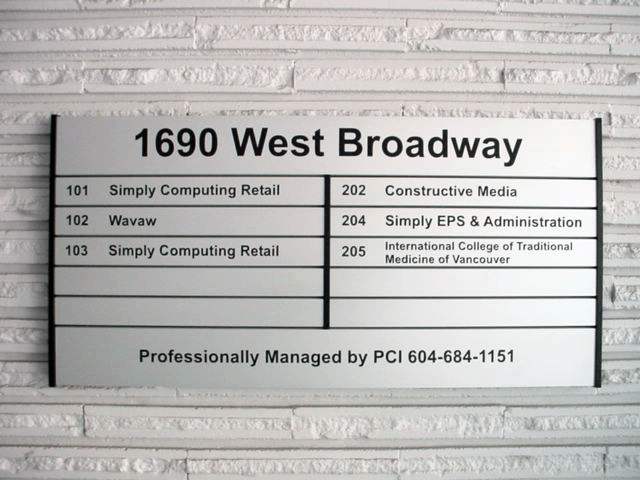 We can also feature your property management or holding company logo and contact information. 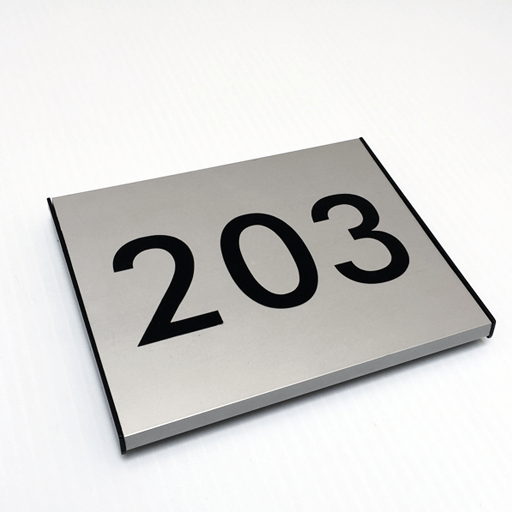 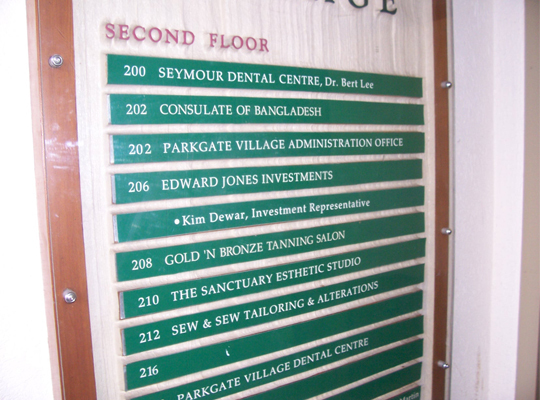 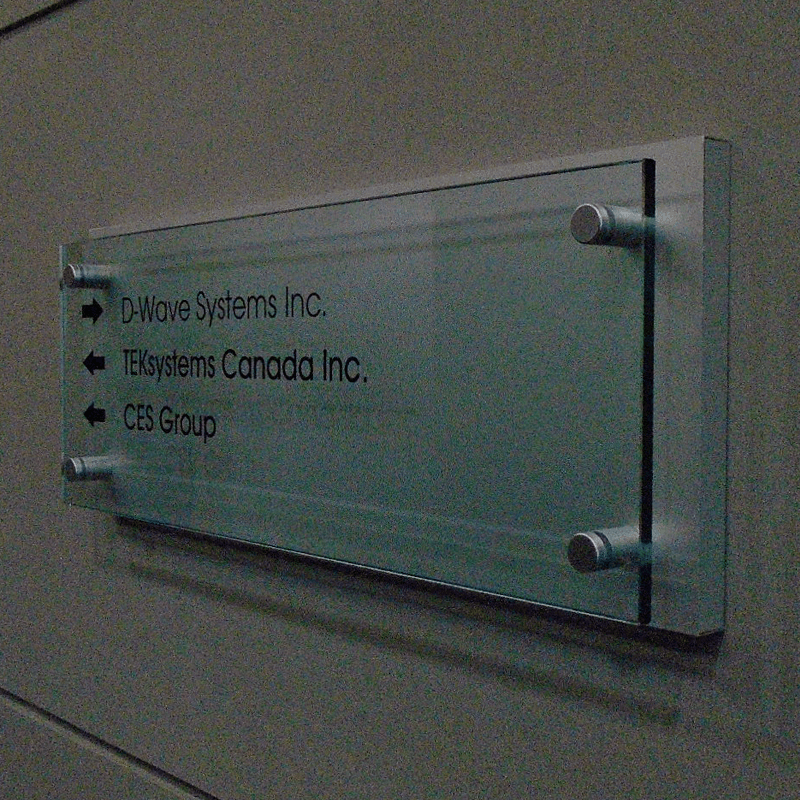 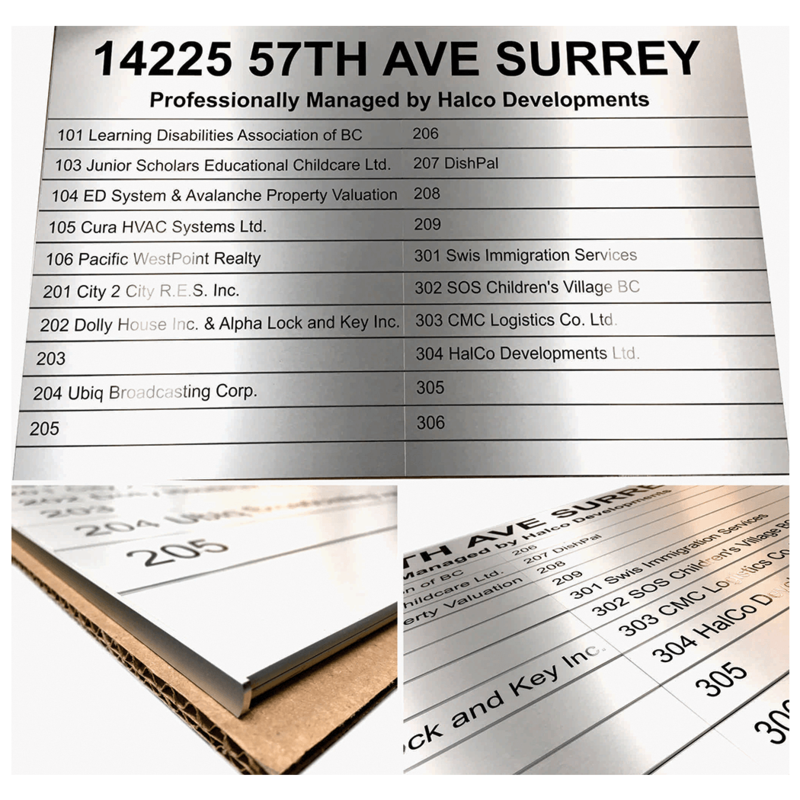 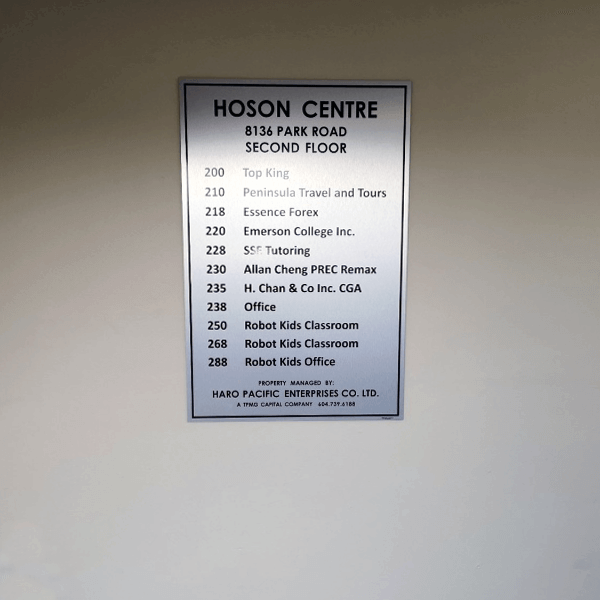 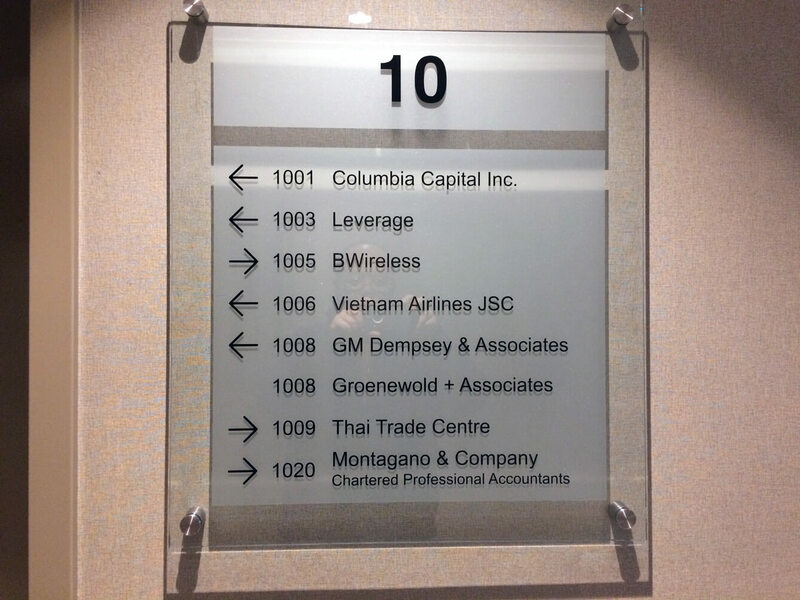 Brushed aluminium directory signs are the most common. 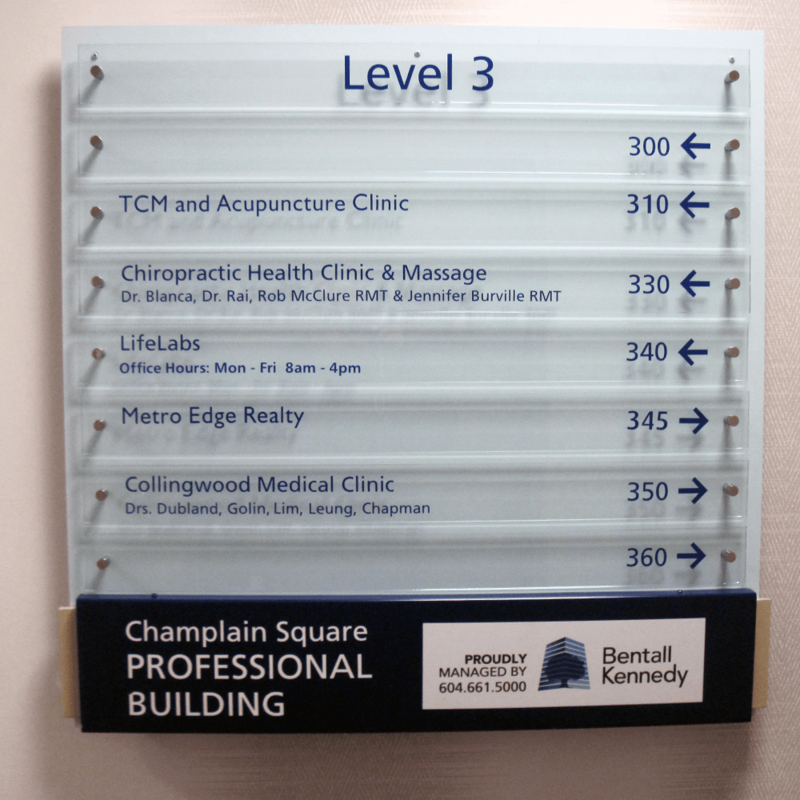 But there are many design options to make these simple signs more attractive. 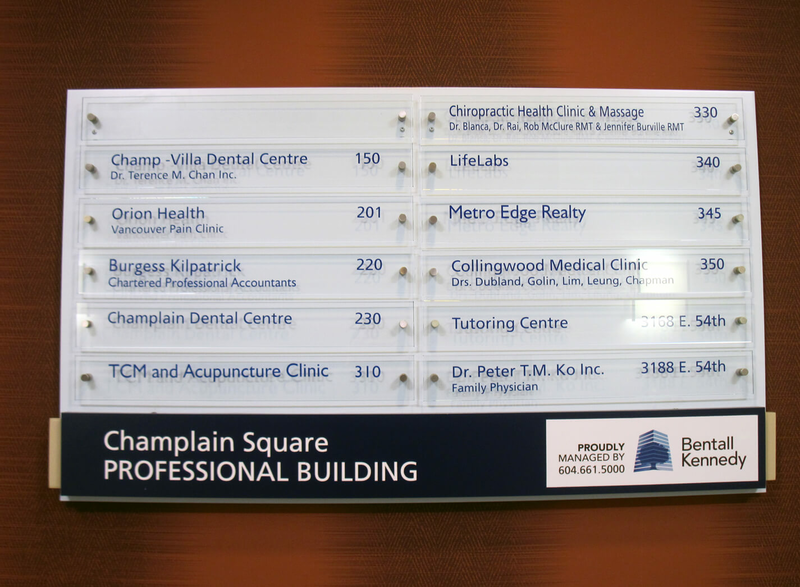 These types of directories have an elegant look, easy to clean with, and made to last for a long time. 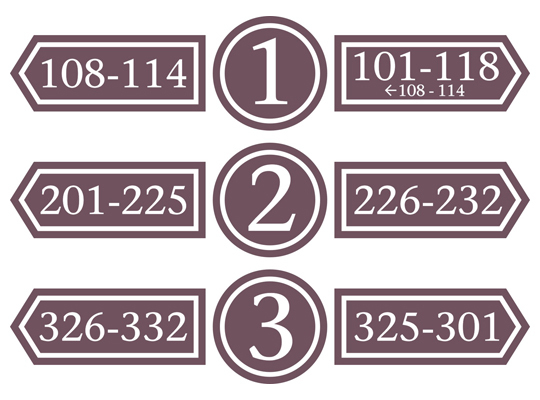 Individual blades can be removed and re-arrange. 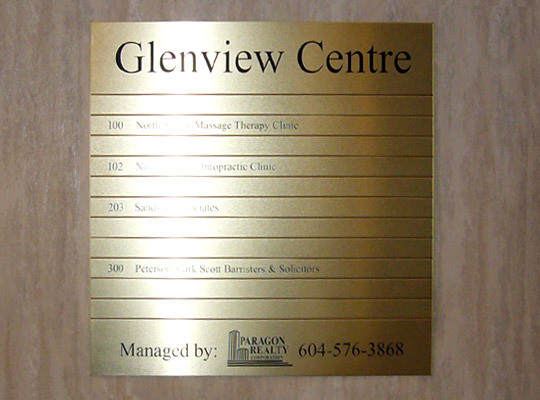 Cut vinyl lettering is applied to the surface and can be changed easily. 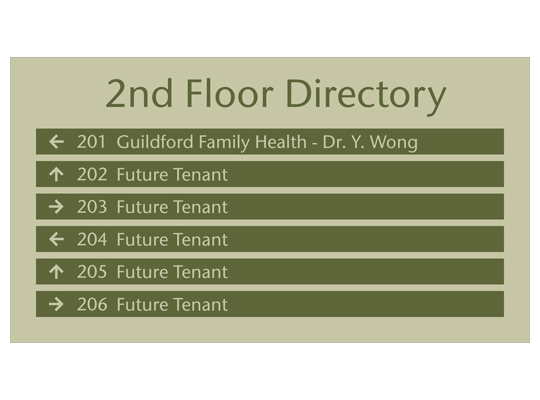 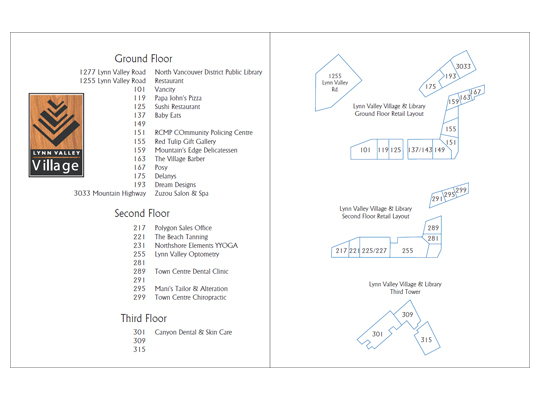 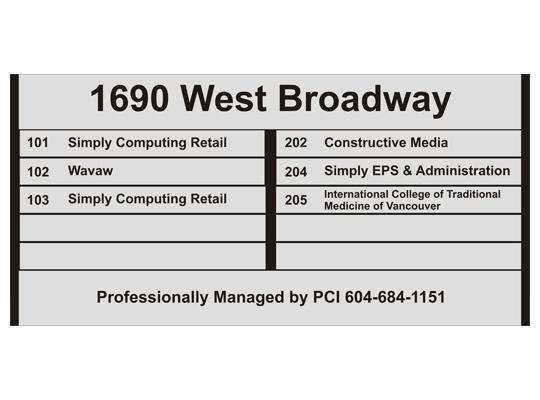 This style of directory is often used in commercial buildings.